Rubber Room Ramblings: MORE FLOWER FEST FUN! Here is a really bright, sunny card that screams summer! 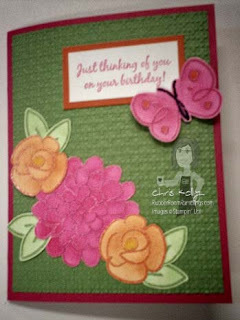 For this card I used some of the new colored embossing powders available in the Stampin' Up! 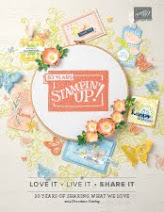 Summer Mini Catalog, and I paired them with the fabulous Flower Fest stamp set, also available in the Stampin' Up! 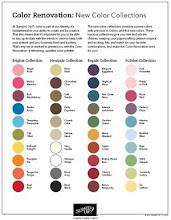 Summer Mini Catalog. I used my dauber and inks to sponge some color onto my flowers after I embossed them. And I topped it all off with my Square Lattice Embossing Folder for the Big Shot. 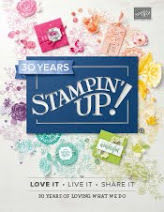 Want to try the new products in the Stampin' Up! 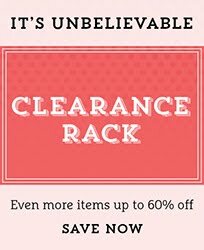 Summer Mini Catalog?